I spent most of my adult life teaching French-Canadian literature and literary translation. Over the years I developed an interest in the relationship between literature and the visual arts and that topic still fascinates me today. Upon retirement I embraced a number of learning opportunities and started my studies of Ikebana which in itself can be a lifelong occupation. As an Assistant Professor of Ikebana (Kakyo), with the Ikenobo School of Ikebana I now enjoy sharing with my students at the Edmonton Japanese Community Association where I lead the Ikebana Club. I also spend quite a bit of time on improving my golf game, a passion described in my other blog entitled Golf in the 70’s. Over the years we have traveled extensively in Europe (where we had a home-base in Switzerland for 4 years), in Australia, Asia and Africa where we spent a year before heading back home to Canada. 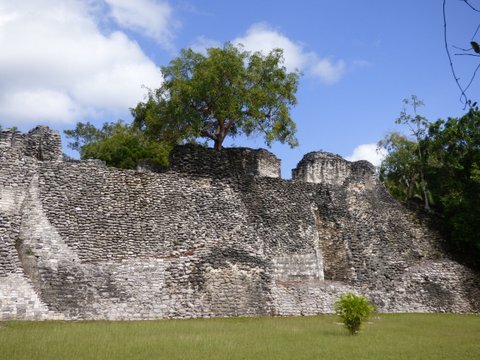 Although I have sometimes been a reluctant traveler, I find my enjoyment of traveling is increasing rather than diminishing, especially if there is a promise of good food, interesting local culture and a golf course along the way. Most of the photos appearing on this blog are the work of my spouse, Brenda Jackson. She, at times, signs her photos with her francopogo watermark. Occasionally, when I am travelling on my own to workshops, or when Brenda appears in the pictures, the photography is mine. We do enjoy working in partnership. Just got home from seeing the Emily Carr exhibit at our new AGA – Art Gallery of Alberta – with Brenda. I’ve gone 3 times since it came, and expect to go at least one more time before it leaves on June 5. I have you and Brenda to thank for first interesting me in her work. Brenda’s favourite, Scorned as Timber, Beloved of the Sky was there, re-framed. There was also an exhibit of the work of Manitoba artist Walter J. Phillips – Brenda tells me that you identified one of his works in the Bramadats’ basement before they moved. Cool. 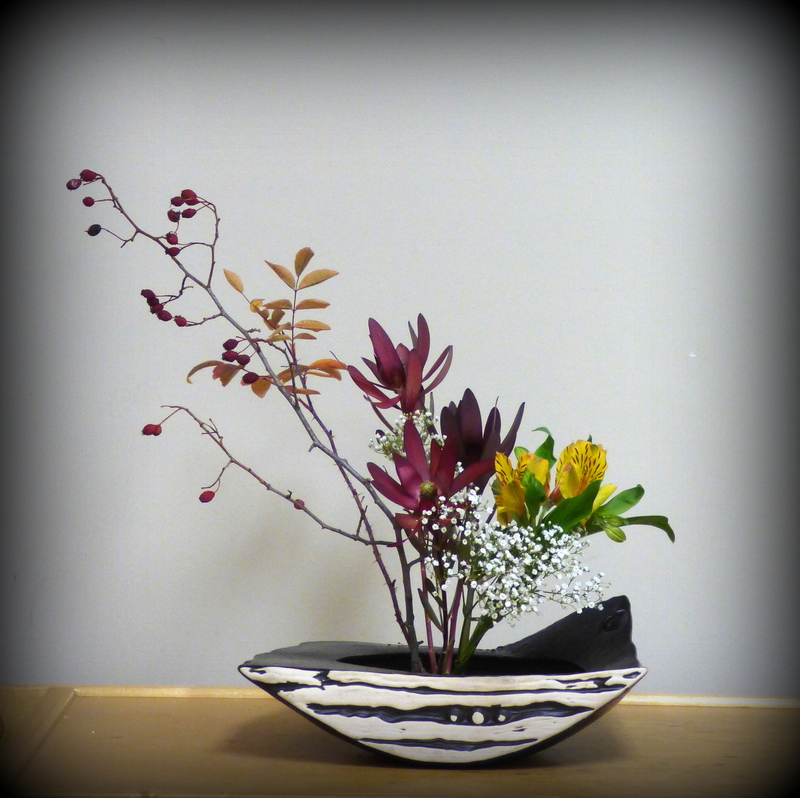 Is there an active Ikebana group in Edmonton that you will be able to join when you move? Great to see you doing a blog; I’ll have questions for you about it when we see each other. Nice to hear from you Jacqueline. I wish I had been there to see the Emily Carr exhibition with the both of you. She still remains one of my favorite Canadian artists. As for an Ikenobo Ikebana group in Edmonton, I don’t think there is one therefore we will have to create our own practice or study group. If you know of anyone interested, ask them to contact me by email at the following address: flowersandpoetry@gmail.com . Enjoyed your post about trees; the one about Literature and Art was very interesting – like a window, allowing me to see a part of your essence more clearly. I had never gotten into blogging; they seemed kind of pointless; following yours feels like there’s a reason to look forward to another one. It sounds like an interesting life. So nice too,that you can collaborate with your wife. By the way, we are using the same theme. It’s my favorite. When I first saw your blog, I din’t realize that we were using the same theme. Changing the background colour does make a tremendous difference, and yes, it does fit with your interests in and out of the garden. The same was true for me. I love your banner photo, the first thing to draw me in. I didn’t notice the theme till I got to the bottom of the page. I guess that’s for the best. It should be seamless. Thanks for commenting. My dearest friend lives in Edmonton. We met up for a holiday in Victoria last summer. I hope to make it to Edmonton next year. We might have the opportunity to meet face to face when you come to Edmonton. Who would have thought. Merveilleux blog! Vous êtes un maître des mots et des fleurs… Merci pour ce partage et amitiés. Jean-Marcel, thanks for following my blog! Yours looks really interesting. I’m going to expand my horizons with it! Thanks for joining my blog. I often write poems in French, my first language, however, a lot of my post are in English. Hang in there.